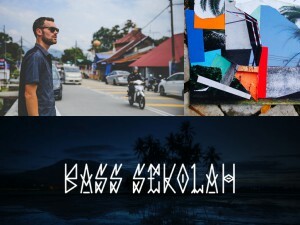 Bass Sekolah make music in the jungle, quite literally, as they’re based right outside of the Seremban National Park, in Malaysia. I got a chance to help them sort out their image and launch their first single entitled Lighthouse. I wanted them to have an urban look, but with tropical inflections. For the cover I enlisted the Berlin based artist Clemens Behr. The typography was designed by Polish artist and font designer Paism83. The styling for the press shots was handled by the kind people of Populo Rido Arta. The photos were taken by Jason Tan.